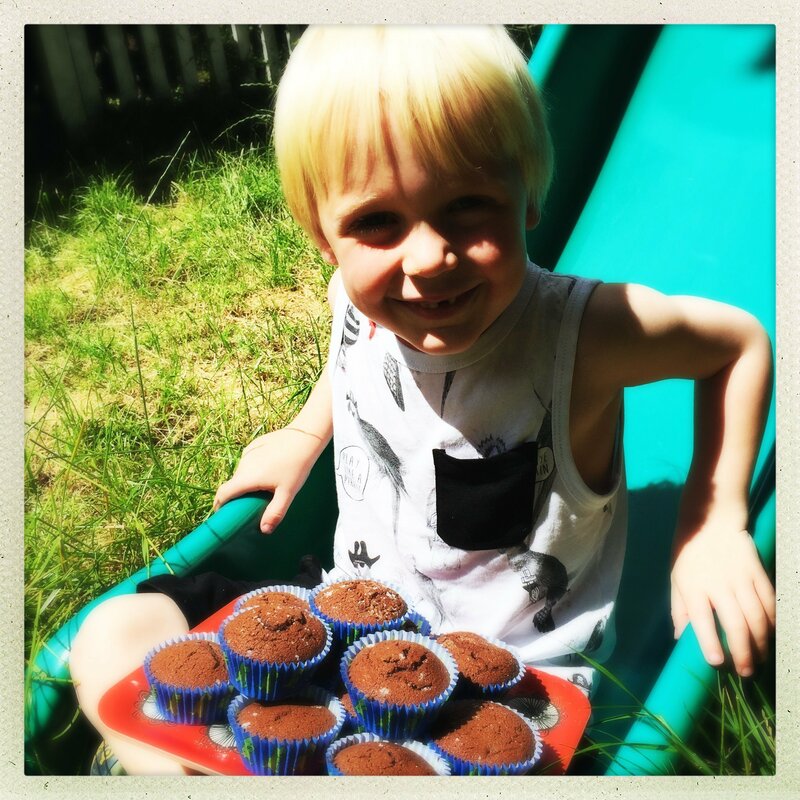 We’ve been making these easy Nutella filled chocolate cupcakes for years, they’re so simple and just so good. Preheat the oven to 180C and put cupcake holders into the baking tray. Add one egg to the cake batter and beat in, then add the other and beat in, add the vanilla extract and stir well. Sift in the flour, baking powder and cocoa powder and stir gently to combine, if the mixture is too stiff add a drop of milk to loosen. 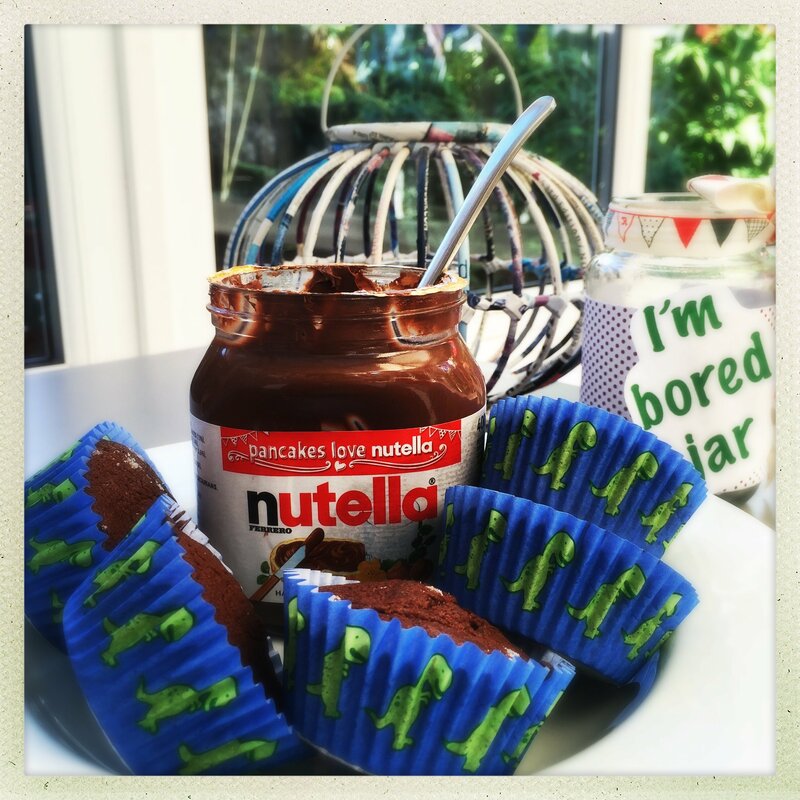 Put half the mixture into the cupcake cases then add half a tsp of Nutella to each one and cover with the rest of the cake batter. Bake in the oven for around 15 minutes until the sponge is risen and bouncy. You can fill with raspberry jam instead of Nutella. You could ice them with chocolate vanilla frosting. Still warm from the oven with a dollop of ice-cream. After tea treat for kids. 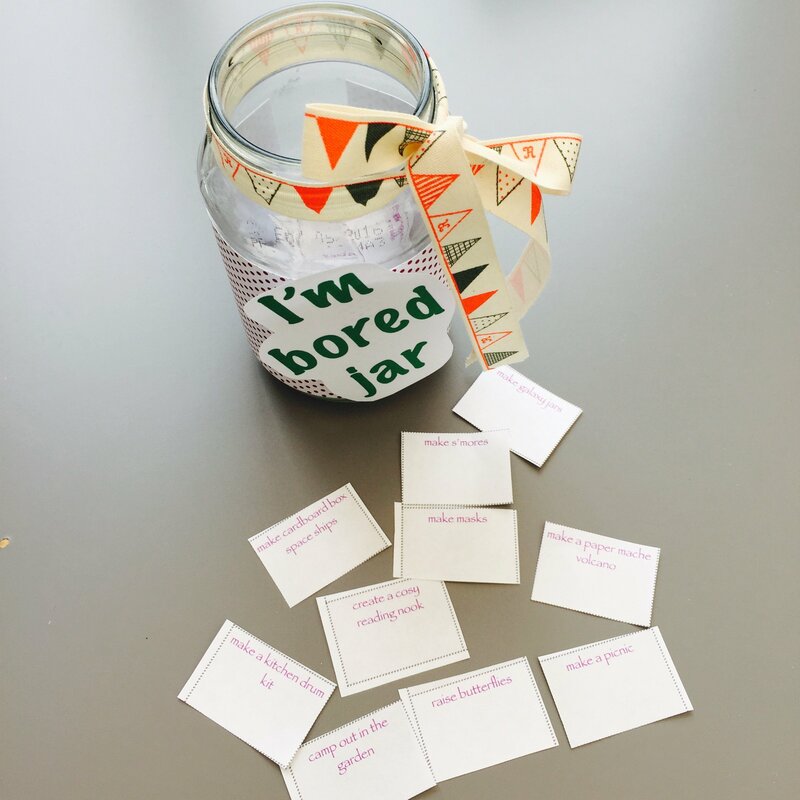 If you spotted our *I’m Bored Jar* in the photo, you can get the free printable here – it’s got 100 activities to keep kids busy,baking cakes is just one of them.